This is self contained game with rules and advice on how to run a full campaign where the adventurers progress from their poor and ill experienced beginnings to the lofty heights of Godhood! Open Quest is based on the Mongoose RuneQuest SRD (MRQ SRD), with ideas from previous editions of Chaosium’s RuneQuest and Stormbringer 5th, mixed in with some common sense house rulings from the author’s twenty years of experience with the D100 system. 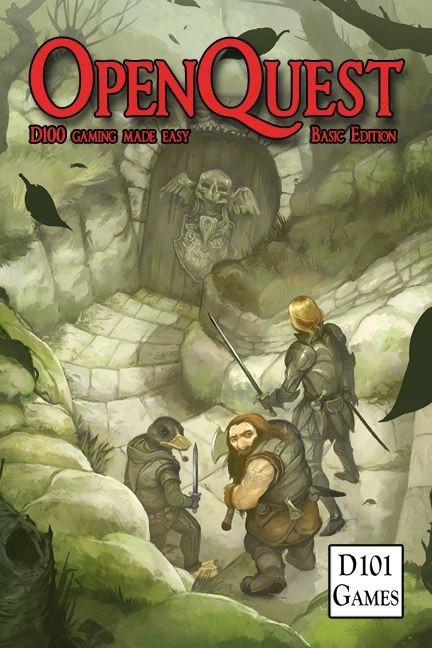 OpenQuest the full game at 186 pages available in Hardcover, Softcover and pdf format. OpenQuest Basics, a striped down low art version of the game which has the core essentials of the system in a 6″ x 9″ Free pdf. OpenQuest Developers Kit. A free text only version of the game. A System Resource Document for third party publishers. OpenQuest 2 – Deluxe – now available. OpenQuest Basic – now available. 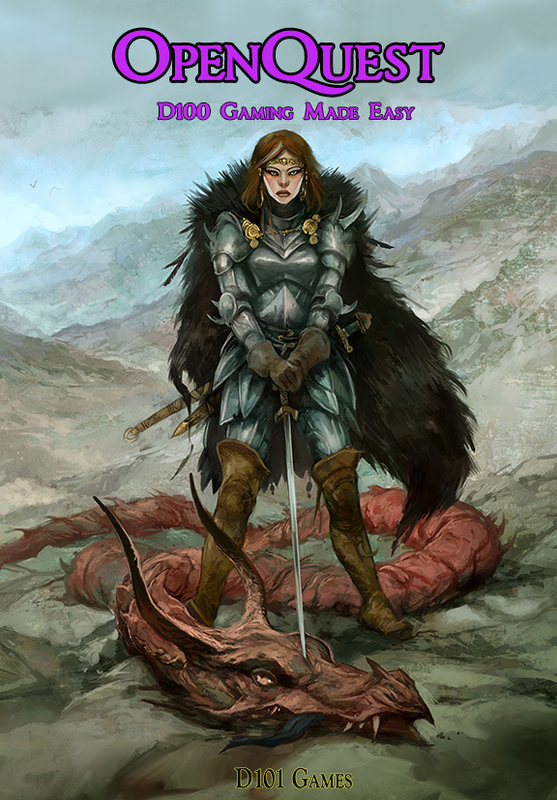 Savage North: The Director’s Cut – An updated version of our Swords and Sorcery setting with four adventures. Life and Death: Expanded Edition – An updated version of this epic post-apocalyptic fantasy setting with five adventures. Support OpenQuest and its derived games has a forum dedicated to it over at Basic Roleplaying central. These are games that are based off the OQ system, but in different genres to OQ’s fantasy. Age of Shadow by Crooked Staff productions. A fantasy game set in a world where Elves, Dwarves, and Men fight against a Enemy of Darkness. Clockwork & Chivalry 2nd Edition (Cakebread & Walton) – A fantastical version of the English Civil War, where Alchemical Cavaliers fight Clockwork Roundheads. Pirates and Dragons (Cakebread & Walton) – A fantasy world of based on our own of piratical adventure in tropical islands dominated by Dragons. OpenQuest in French – Translated by a team over at Le Scriptorium. Renaissance (Cakebread & Walton) – the underlying system of Clockwork & Chivalry released under the OGL.